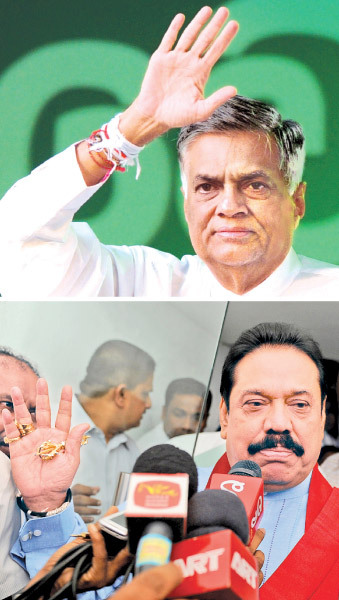 Government funds may have been used to organize a public rally in support of former President Mahinda Rajapaksa’s presidential bid in December last year, according to evidence now being led at the hearings of the Special Presidential Commission of Inquiry into Large Scale Corruption and Fraud, which began hearings in Colombo, last Thursday morning. No proper procedure seems to have been followed in these dealings, according to testimony. LTTE ex-combatants running for the August 17 parliamentary polls would work on the principles of democracy, brotherhood and compromise with their Southern counterparts, shunning violence, the Administrative Head of their political party Rasiah Kirubhakaran alias Kadir told the Sunday Observer. The problems of the Tamils cannot be solved through secret pacts signed with other political parties like the TNA had done and the attempts to address the Tamil issues should always be open to the Sinhala community in the South if such attempts are to be successful, EPDP leader and former Minister Douglas Devananda said. The case filed in the Supreme Court by the police Special Investigations Unit (SIU) against former parliamentarian and RADA Chairman Tiran Alles and others will be taken up on July 22. In this case, the SIU sleuths are investigating the Rs. 169 million missing Treasury allocations for tsunami reconstruction in LTTE controlled areas in 2006. Election regulations on posters: Dead or ignored?